Playing in front of the Miller House, downtown Jackson. 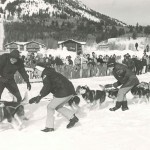 Winter Carnival is one of the biggest events in Jackson each January and the highlight is the International Pedigree Stage Stop Sled Dog Race. 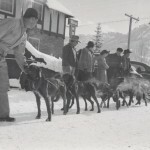 The event starts on the Town Square and is the longest dog sled race in the lower 48 states, winding through Wyoming and ending in Park City, Utah. The race was founded by veteran Iditarod musher, Frank Teasley, in 1996. 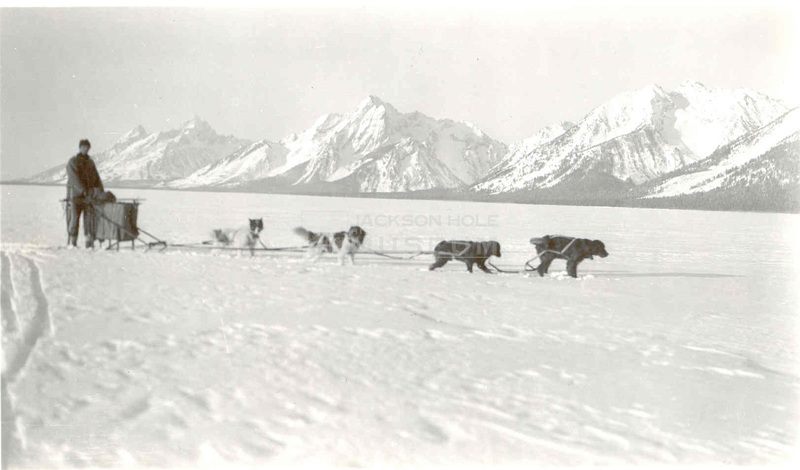 Dog sleds and racing have a long and rich tradition in Jackson Hole and we thought it might be appropriate to review some of the tales that have been told. 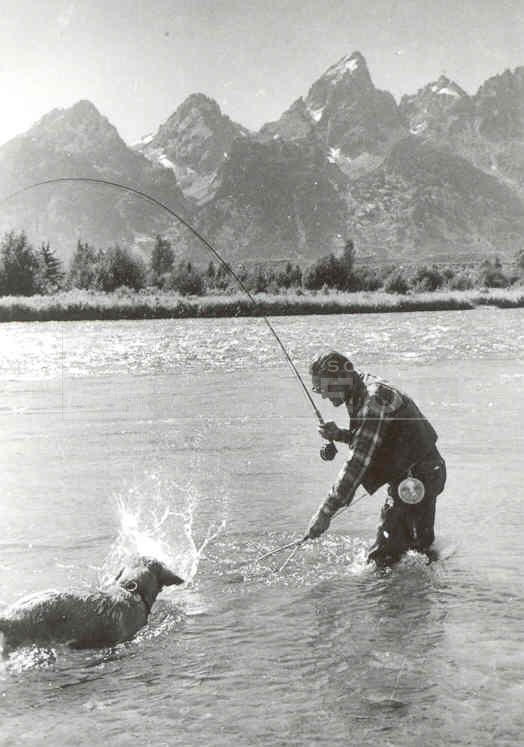 Much of this material was obtained through oral histories at the Jackson Hole Historical Society & Museum and an article entitled Dogs of the North by Brad Eastman that appeared in the Winter / Spring edition of Teton Magazine in 1973. Dogs were the first animal domesticated by man, probably 15,000 to 20,000 years ago. 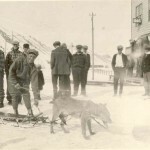 The earliest archeological evidence of dog harnesses was found in Canada and dates to 1000 AD, although dog sled use from Siberia across the Bering Straits into Alaska and Canada is thought to be much older than that. Use of dog sleds was mentioned in Arabian literature in the 10th century and was observed by Marco Polo during his Asian travels in the 13th century. 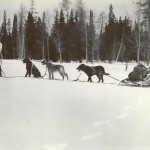 Early British and French colonialists noted the Native American use of dog sleds and referred to them as Indian dog trains. 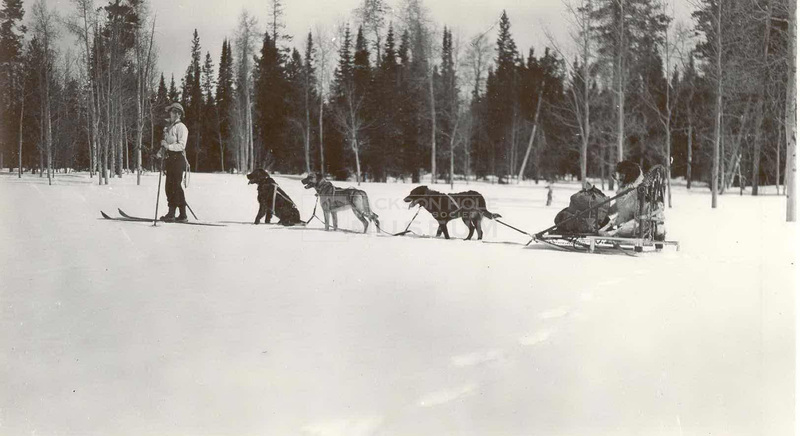 The French Canadians quickly adopted dog sleds for carrying provisions in the northern quest for fur. Dogs were referred to as a poor man’s horse by the French. When the Russians made contact with the peoples of the Bering Straits in the early 1700’s, they embraced the use of dog sleds to expand fur trade, and improved the native design to make larger sleds with handle bars. George Lamb settled in Jackson Hole in 1914 and homesteaded south of Astoria Hot Springs (it was Counts Hot Springs at that time). He eventually became a builder and along with Charlie Fox built the Chapel of the Transfiguration in Moose. 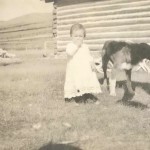 In the early days, George and other nearby homesteaders were successful in securing a postal route out of the Hoback area. 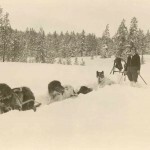 George did the winter routes and put together a dog sled team. He got a pure bred white collie lead dog from Tom Sewell. Sewell acquired the dog to herd cattle, but was so disgusted with the dog’s performance, he was ready to kill it. 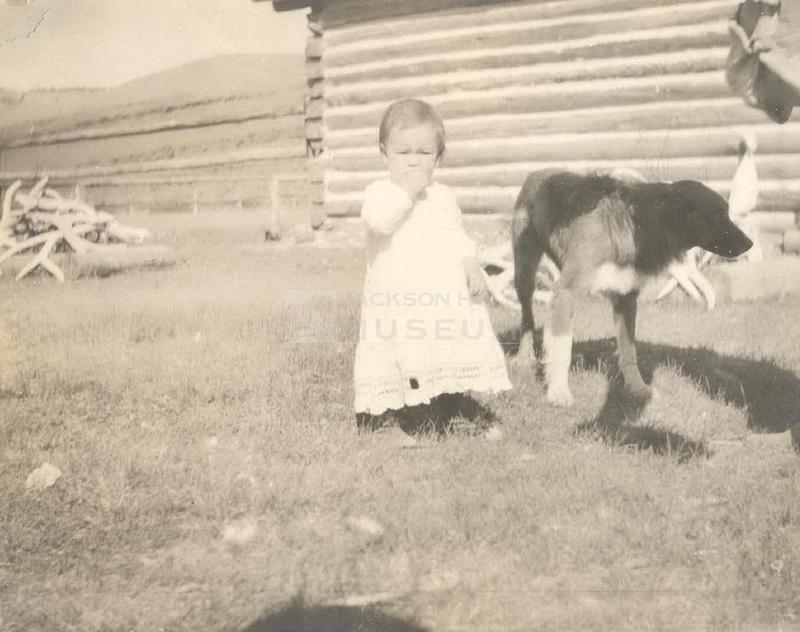 Lamb made weekly trips delivering the mail in the Jackson area which included a stop at Geraldine Lucas’s place south of Jenny Lake. 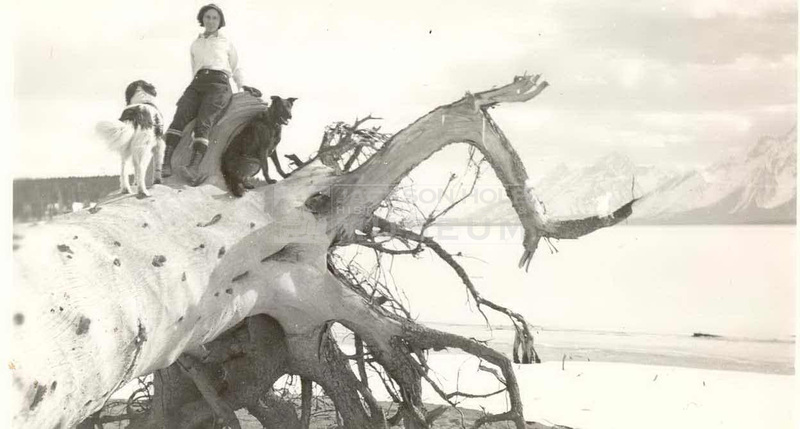 Geraldine settled in Jackson Hole in 1912 and was the first local woman to climb the Grand. 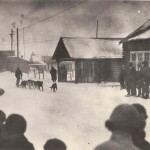 Her son was a Commander in the US Coast Guard and while he was stationed in Alaska in the early 1920’s, he sent her a team of Alaskan malamute sled dogs, a sled, an Alaskan parka and boots to make it easier for her to enjoy winter social life with her Jenny Lake neighbors. 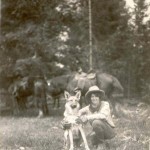 Geraldine frequently took her dog sled team to the Square G ranch to visit her friend Lida Gabbey. Her dog sled is still on exhibit at Menor’s Ferry in Moose. 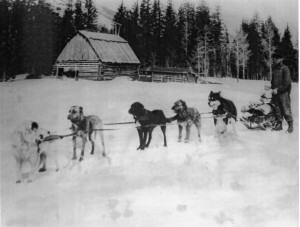 On one of George’s trips, Geraldine offered a malamute named “Lum” to George for his team, which according to his son Tom, George reluctantly took. George’s first outing with the new dog came on a 40 below zero day. He hooked him up with the rest of the team in front of Mercill’s store and gave the team an “all right”. The malamute didn’t know what to do and the rest of the team dragged him on his belly all the way to Flat Creek Bridge. After many other mishaps, the dog was finally well enough trained to carry significant weight. 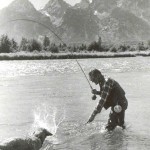 Slim Lawrence, cofounder or the Jackson Hole Historical Society and Museum, lived on the AMK ranch on the north end of Jackson Lake with wife Verba Lawrence. 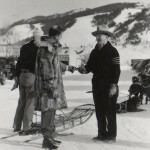 Slim used a dog sled to carry the mail from Moran to the AMK in the 1930s. After Slim noticed that some dogs put their paws in their mouths to melt the ice, Verba made canvas booties for them so their long leg fur didn’t collect snow. Verba cared very well for her dogs. 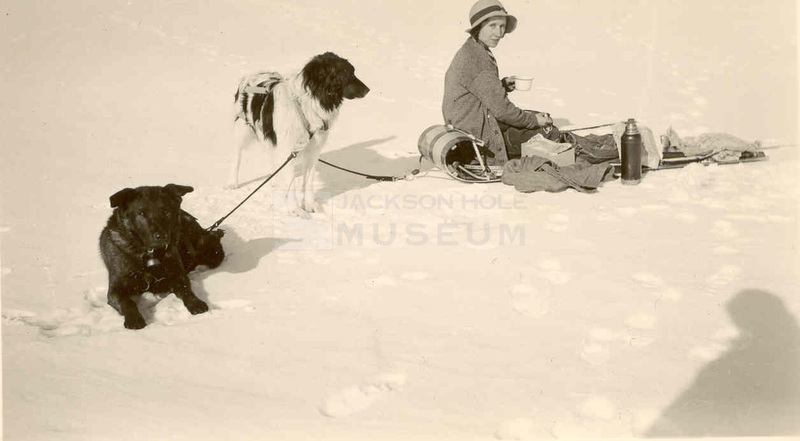 After her dog Cap was injured one winter, he became the only dog to ride in the sled instead of pulling it. 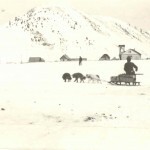 Earl Radmall used a bulldog mix to pull his mail sled north of Moose in the 1930’s. 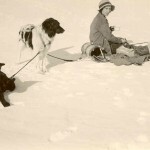 Earl used snow shoes to walk ahead of the sled and break trail for the dog. On the return trip, the dog went first on the broken trail. 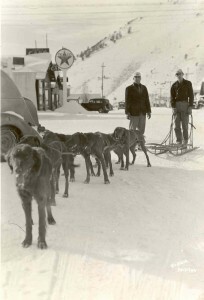 Neil Rafferty, who managed Snow King Resort had nine Irish setters that he used as dog teams when he lived in Moran in the 1930s. 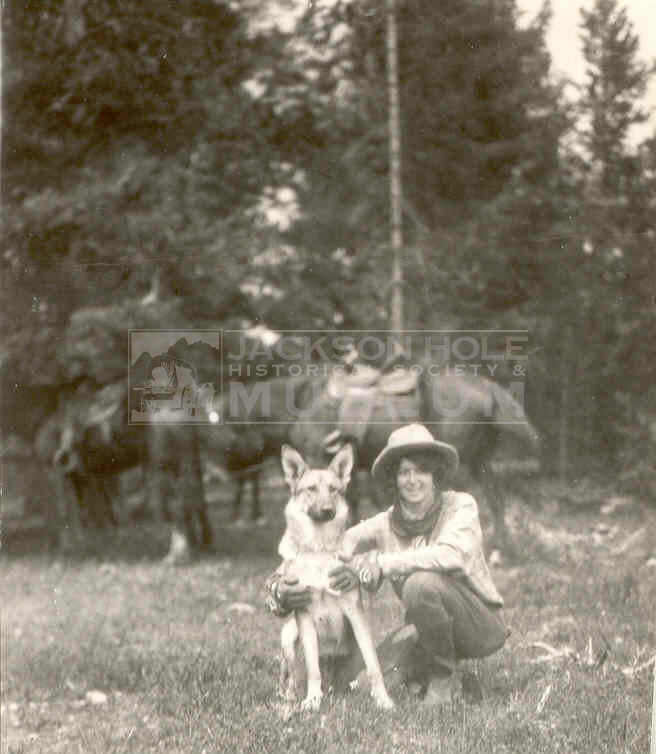 Jack Huyler had a dog team that he used to get mail and supplies between Wilson and his Rocking H Ranch. 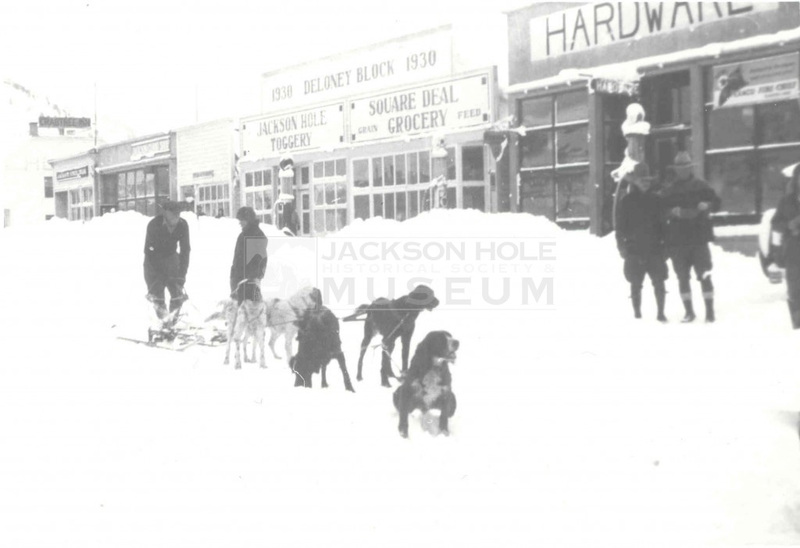 Jack pointed out in his book and That’s the Way it Was in Jackson’s Hole, that it was only in the movies that mushers stood on the back of the sled shouting “Mush” ,“Gee” and “Haw” . 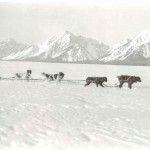 The musher ran behind the sled holding on to the handlebars to control the sled and to lighten the load. 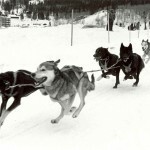 The musher would only jump onto the runners to catch his breath or to ride down hill. As Jack pointed out, there was no significant slope between Wilson and the Rocking H ranch, and presumably not much riding on the runners. 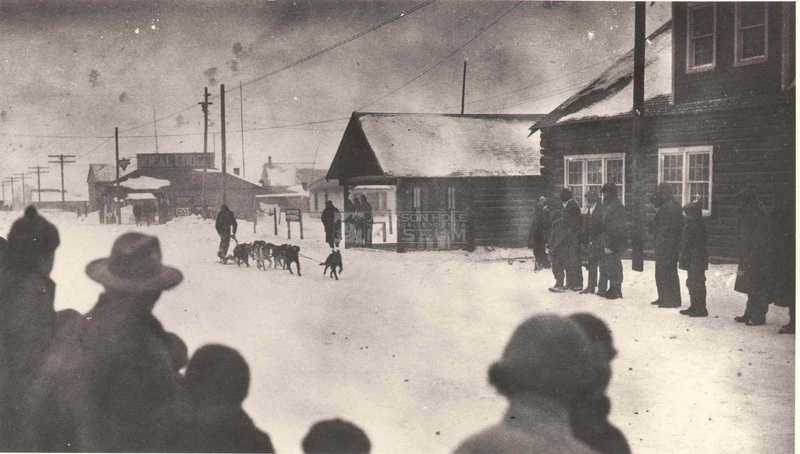 The first “official” sled dog race with a written set of rules was the All-Alaska Sweepstakes, which first took place Nome Alaska in 1908. 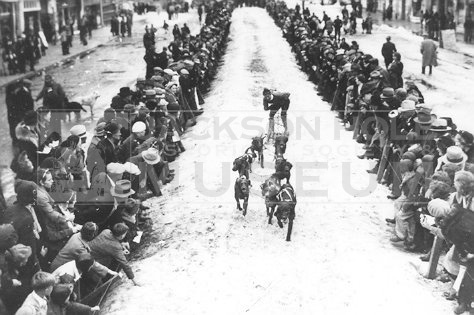 The first sled dog race outside Alaska or the Yukon was the American Dog Derby in 1917 in Ashton, Idaho. The Union Pacific Railroad spur between Ashton and Victor, Idaho was completed in 1912, but the route was not snow plowed in the winter. 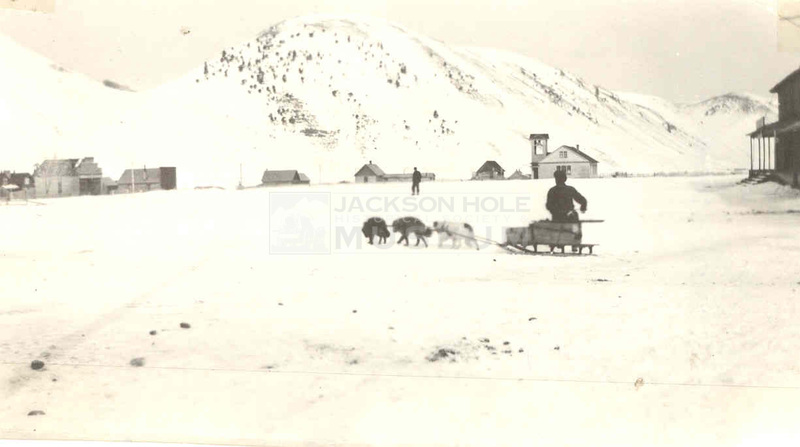 By 1917 a thriving dogsled business had been created in Ashton for delivery of supplies and mail in the region. Sixteen teams registered for the 55-mile race from West Yellowstone to Ashton including two from Harriman’s Railroad Ranch. The race became an annual event and was tremendously popular in the 1920s. Prize money grew to $1,000, worth about $13,000 today, and the race was run through the 1950s. Interest waned in the 1960s and the race was discontinued. It was revived in 1993 and continues to grow in popularity. 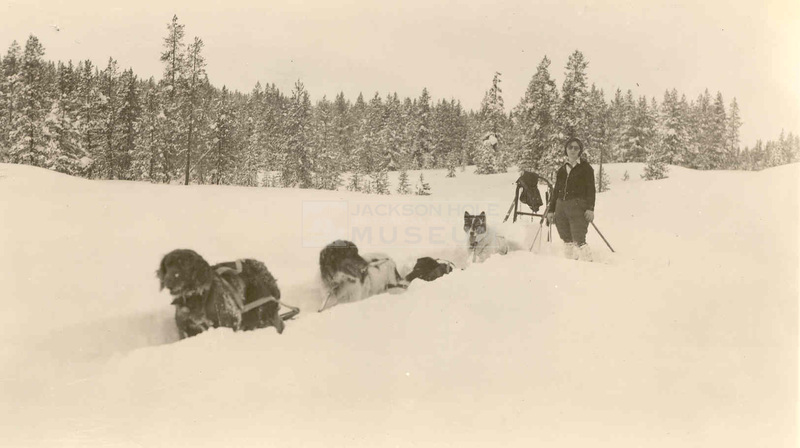 In 1932, sled dog racing was a demonstration sport at the 1932 Winter Olympics in Lake Placid, New York, but was not included in future games. 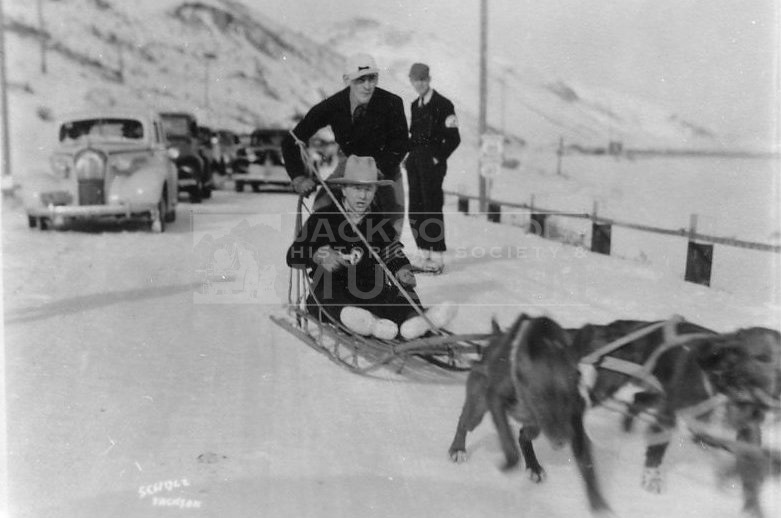 In the late 20’s after George Lamb had moved his family into the town, George was challenged to a dog sled race by Frank Van Lewen. Frank had a team of five Irish setters and George used a two dog team, a German Shepard and a black Lab. 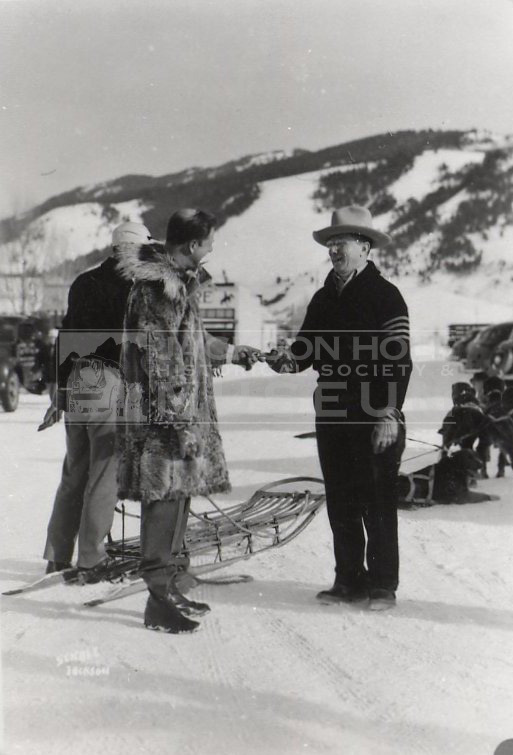 George’s sled was borrowed from his six year old son, Tom. It was a four- mile race which George won because Frank’s Irish setters refused to come back into town after reaching the turnaround point. 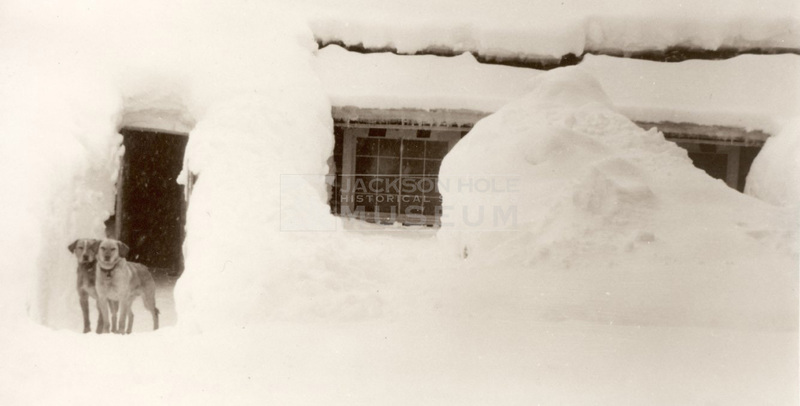 In 1932, perhaps inspired by the Lake Placid Winter Olympics, Jackson hosted its first Winter Sports Carnival. A thirty- mile sled dog race was a featured event. Unfortunately, bad weather prevented visitors from getting over the pass and only five teams participated. Ted Geelan’s team won the race. 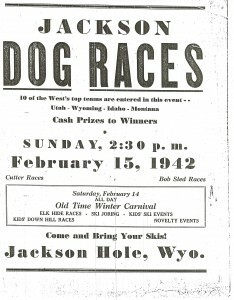 The following year the Carnival became the “Second Annual Winter Sports Carnival and Dog Derby” with a fourteen – mile race fetching a $300 first prize, $200 for second and $100 for third, a total purse well over $10,000 today. There were also races for boys and girls. 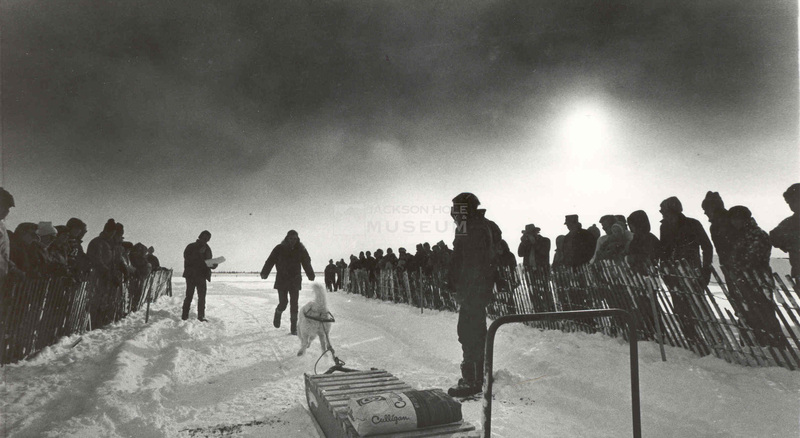 Interest in dog sled racing waned over time. 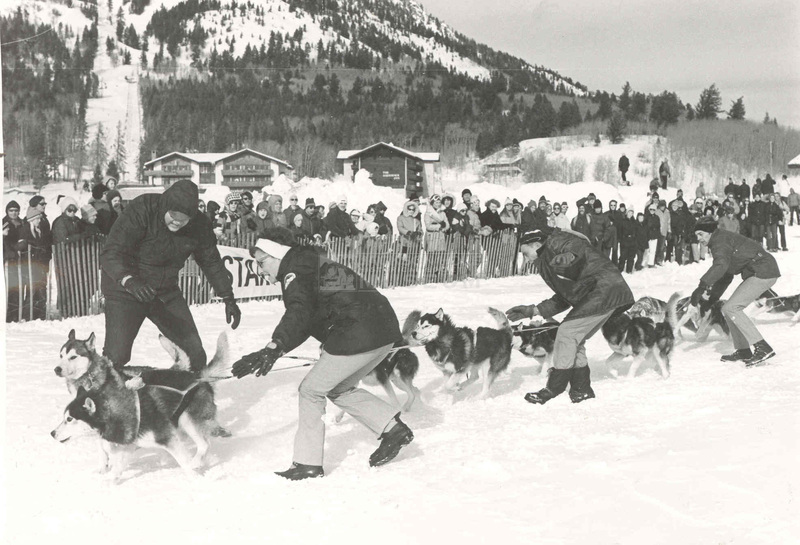 In 1971, the International Sled Dog Racing Association sponsored a dog sled competition in Teton Village. 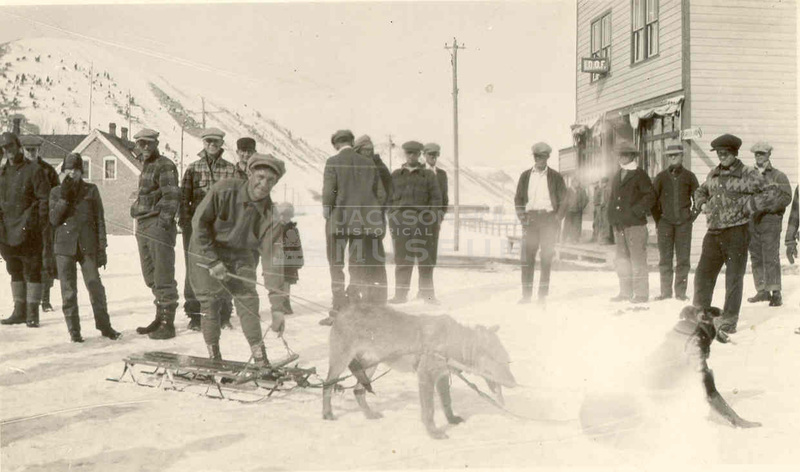 George Sweet and the Jackson Dog Sled Club were the local coordinators for the twelve- mile race. Festivities also included a children’s one-dog, half- mile race. 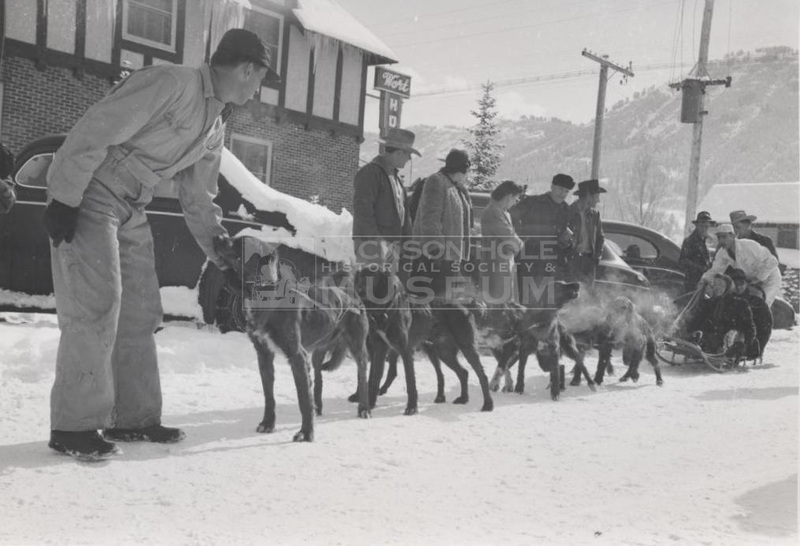 The race was an effort to revive the sport in Jackson and promote dog sled trips into the Teton back country. 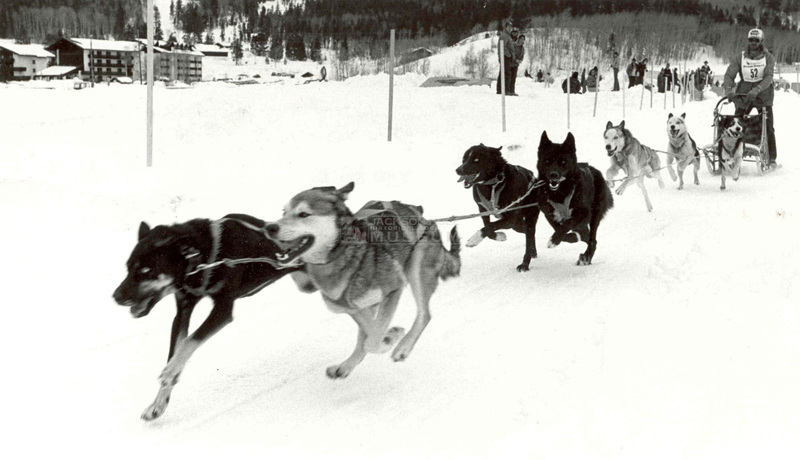 In the mid-1990s, the Governor of Wyoming approached Frank Teasley about the concept of an “Iditarod of Wyoming”. Teasley is a veteran of eight Alaska Iditarods, finishing sixth in 1991 and winning awards for the best cared for team and most improved team. 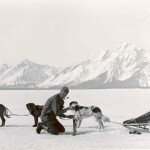 Frank also cofounded the Jackson Hole Iditarod Sled Dog Tours, which still operates out of Granite Hot Springs with the help of 170 Alaskan racing sled dogs. Frank organized the first Stage Stop Race in 1996. 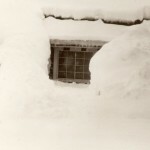 It continues on today as one of the most exciting events to draw people out into the frigid temperatures each January. 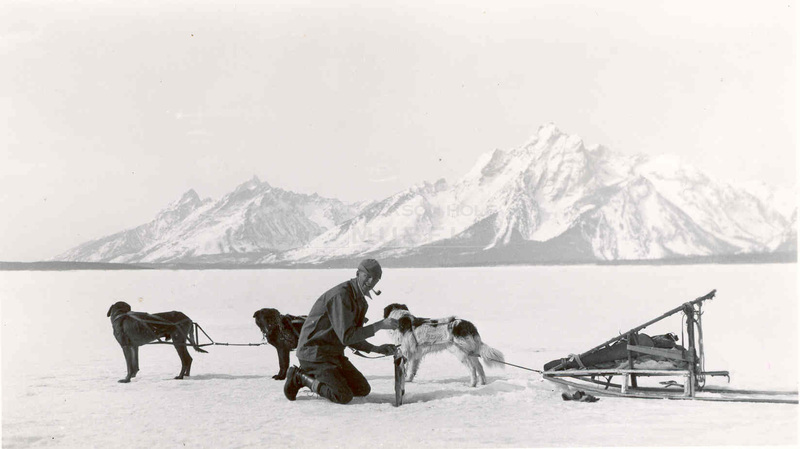 Special thanks to Steve Morriss, wonderful member of our Board of Directors, for writing the text and selecting the photographs for “Sled Dog Tales,” and many other exhibits as well.